Hey hey it's Thursday! (Oh hey, that rhymed!) I hope everyone's week is going well so far and your holiday shopping is getting close to done, or at least is started!! I was actually so "on it" this year that I got most of my shopping done the first week and on Black Friday & Cyber Monday….now that would sound like bragging, except that it's actually been a problem, believe it or not! I find myself STILL shopping and finding reasons to justify getting 'just one more thing'. This is especially the issue with Olivia. I am having a hard time not buying everything I see for that little monkey! So today let's forget about all the people we still need to buy gifts for and just think about ourselves for a minute and how you kind of need this outfit. Let's be honest, the whole "No wearing white after Labor Day" saying is a thing of the past. White lives on throughout Winter, especially when you have thigh high boots to rock over your white skinny jeans! I love this neutral look and every item is so cozy, stretchy, and warm! 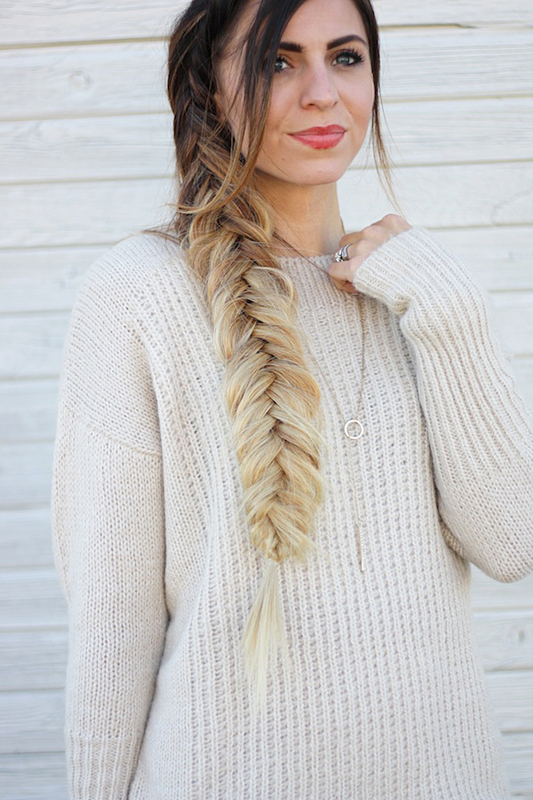 So perfect for winter! You have the most amazing hair! I love the cape and those boots! 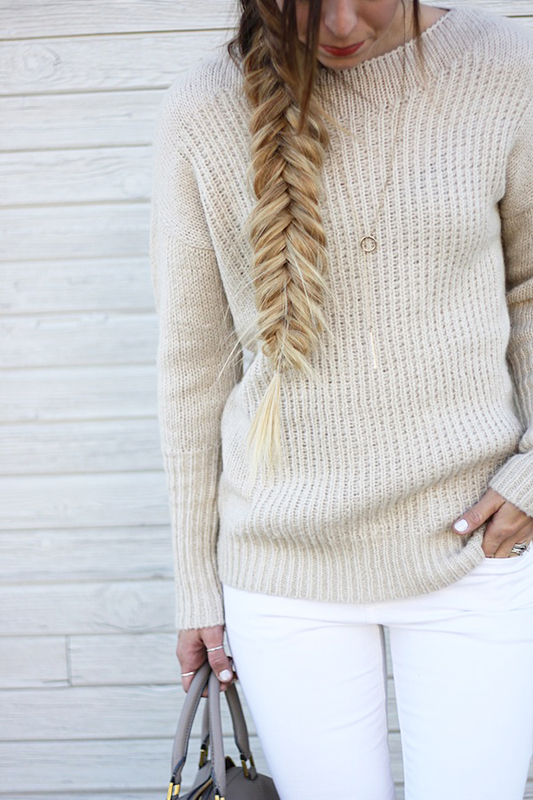 That braid is the most wonderful thing I have ever seen! Do you have a tutorial on it? Love this look! Those boots are kinda of fabulous and your hair looks amazing!